I can never stress enough the importance of looking after your skin. It is what will make your foundation sit and last beautifully on the skin. It does not matter if you buy the most expensive foundation if the canvas you are working on is full of texture, dry patches, etc. So skin care is a really important thing as well as using the correct primer for the type of skin you have/problematic areas you want to cover. My major problem is dry skin, along with slightly large pores so I tend to go for very moisturising products and, at times, illuminating primers. 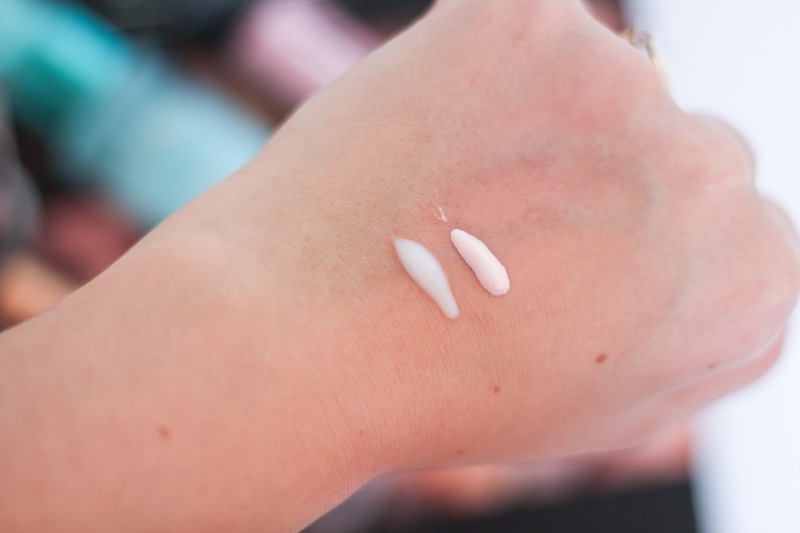 I have noticed that mixing primers sometimes doesn’t work quite well unless you just apply them to the designated areas – for example, my large pores are focused on my T zone and the dryness is around my face so I apply different primers to those two areas if I want to be a bit extra. 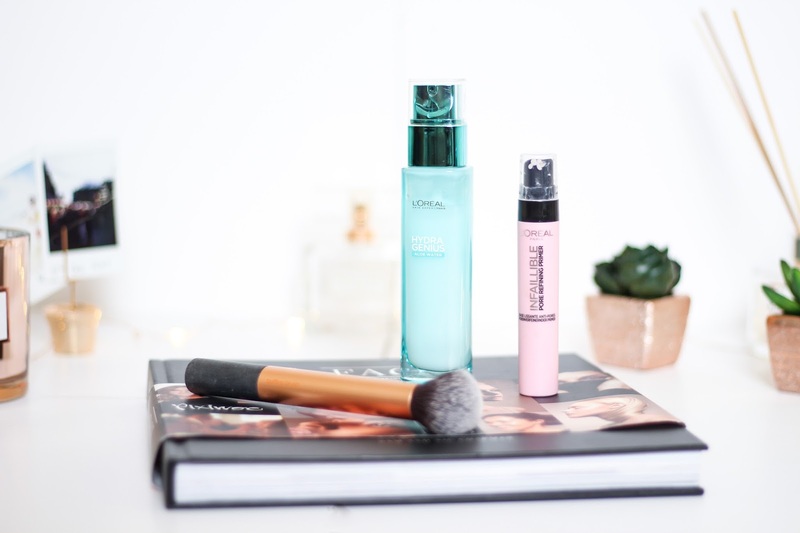 On a daily basis I want something more practical and that truly moisturises, illuminates and smoothens my skin and this is where these two new products come really handy. The L’Óreal Hydra Genius Aloe Water is like water in a bottle but for your skin. Apply to your skin twice a day and this will moisturise your skin deeply and continuously without feeling like it is overloading your skin. I thought I could get a bit oily on my chin when using this product because that is the only area of my skin that has a bit of extra moisture. But this product doesn’t do any of that. I just continuously moisturised your skin and give you a beautiful, natural glow. It has a gel consistency and a little goes a very long way so I know that this product will last me a bit longer that the average moisturiser. The great thing about this is that it also absorbs really quickly despite being a very rich moisturiser and that is why I also love it so much. I don’t have to wait too long to apply my makeup as it just sinks into my skin so quick but it just feels even better when I apply it just before bed. My skin feels instantly refreshed and nourished. 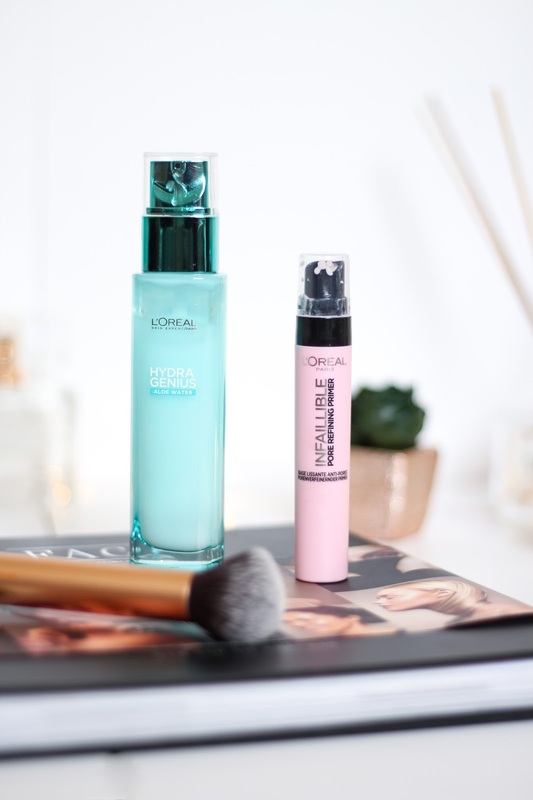 As for primer, I have been loving the L’Óreal Infallible Pore Refining Primer. It just does what it says – hides your pores and smoothens the skin. It has a slight shine to it that I love. Even if you don’t apply any makeup, this on its own gives your skin a healthy look. As for makeup application, I notice that the foundation blends a lot better, specially around my nose that is one of the problematic areas pores wise. I also apply this primer around my mouth because my foundation tends to sit on my smile lines and this reduces the appearance of fine lines significantly. It really does wonders for my skin and creates a beautiful, smooth canvas great for makeup application. These two products have really changed the way my makeup applies as well as how my skin looks and they are just two little products but the difference is huge! Totally recommend, they are definitely worth a try.